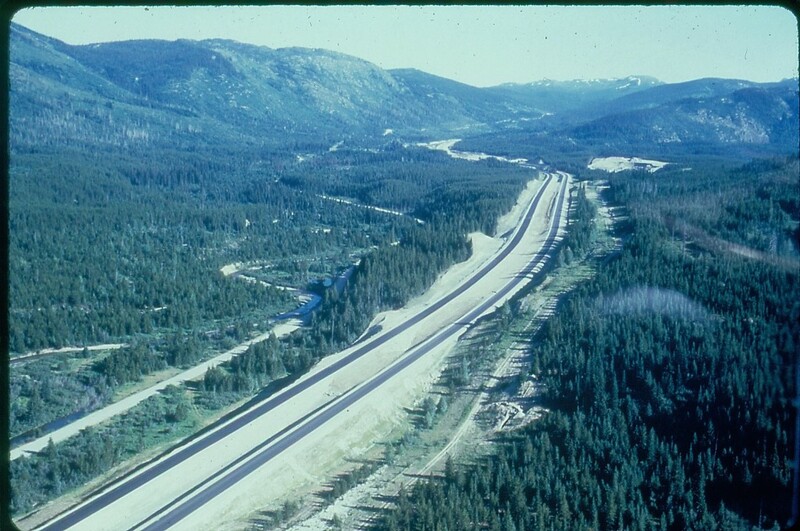 It took more than 10,000 people 20 months of continuous work to open Phase 1 of the Coquihalla, on May 16, 1986. Many of the men and women who worked on this historic project have moved on to new adventures; however, some still work for the Ministry of Transportation and Infrastructure. To get a sense of what it was like to work on a project of this scale, we asked four ministry staffers (one retired/three current) four questions. Their answers reveal a lot about the work we do, how we used to get it done (and how it compares to today) as well as the lasting legacy road building has on the people who build them and the people who use those roads. TranBC: How were you involved with the construction of the Coquihalla Highway? 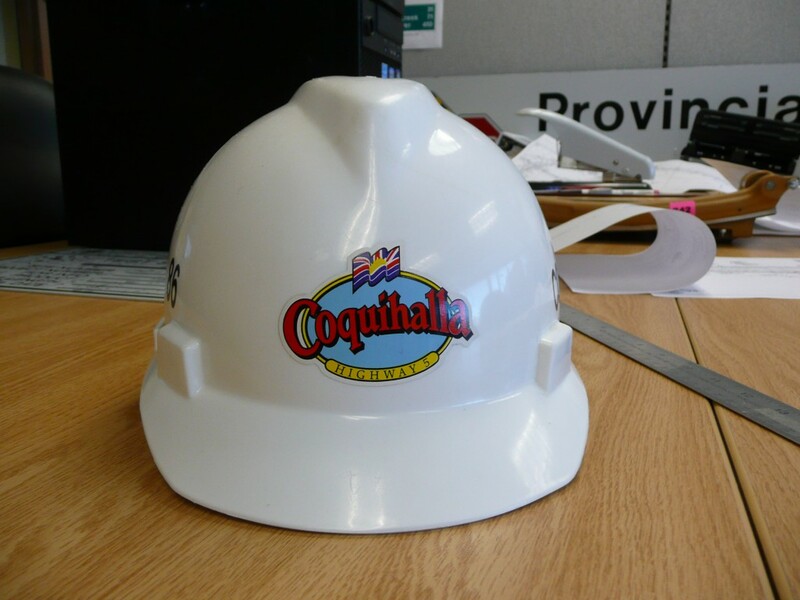 Joe Valentinuzzi: I was hired to work on the Coquihalla Project in 1981, as the Geo-technical Project Engineer. 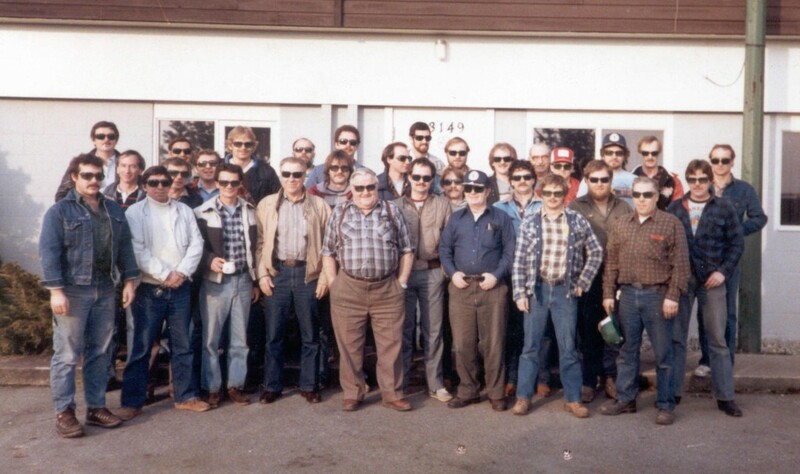 Ron Marshall: I was an Engineering Aide transferred in to work on Phase 1 of the Coquihalla, in the fall of 1984. Todd Hubner: I was hired originally as a summer student during my fourth year of university, with what was then known as Construction Branch. I was an Engineering Aide 1-1 (the lowest of the low). Mike McLaren: I was an Engineering Aide 2, and dealt mostly with the office, calculating quantities and survey notes. TranBC: What is your most memorable moment from that project? Flying along the Coquihalla in a helicopter and seeing 100 continuous kilometres under construction all at once. It was like a large military operation with construction equipment scattered continuously along the entire corridor. Driving on the roof of the Great Bear snow shed in a truck, to assist in the inspection of the placement of the concrete structural components and rock anchors. Countless people have driven through the snow shed, but not many can say they’ve driven on top of it! Watching the construction workers drive golf balls across Dry Gulch before the canyon was completely spanned by a bridge. Watching the paving crews lay down asphalt in a snow storm. Ron: Being quite young, there was no epiphany. However, in retrospect, many years later, the significance of shoving a four-lane freeway over the top of a range of mountains in a year and a half seems to be an amazing accomplishment. Todd: My most memorable moment was when I met my wife on the project. She was working for Bridge Branch at the time, but transferred over to Construction Branch after Phase 1, for Phases 2 and 3. 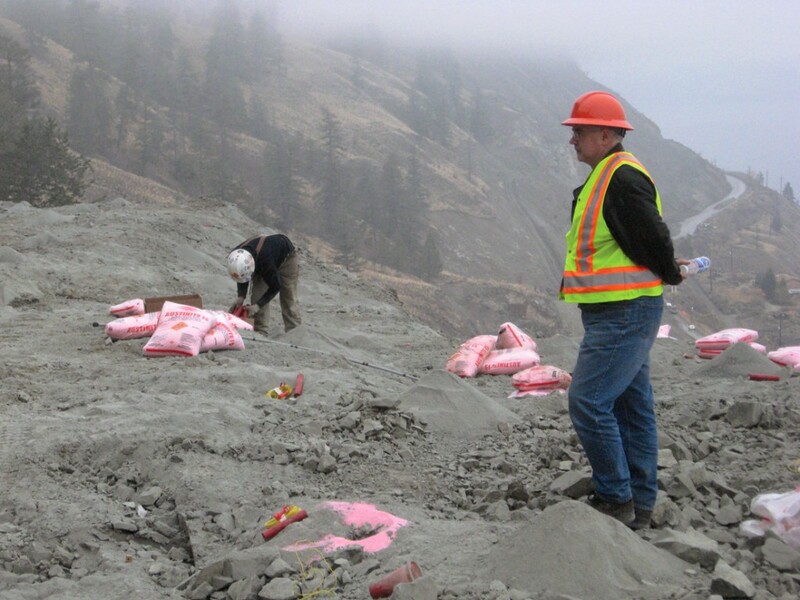 The project was the first one on the Coquihalla. First time using an electronic distance measuring instrument. First calculator in the office. First computer in the office. Watching them film the movie First Blood in Hope. Winter conditions necessitated a tow. TranBC: What stands out for you when you think back about your work on the Coquihalla? 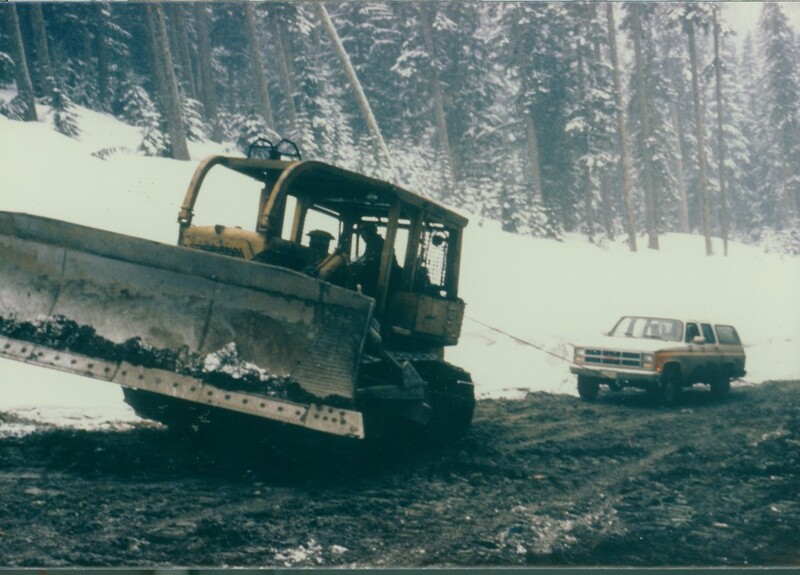 Joe: Once the Coquihalla project got its rhythm, work preceded 24/7 until its completion in the summer of 1986. I still find it hard to believe that we worked through, and endured the harshness of the winter weather. It made working conditions almost intolerable, two steps forward, one step back, sometimes dealing with -30 C and metres of snow. Ron: How little technology we had. Computers…a ripping 286 Wang computer. Little to no email to distract from getting work done. Everything by hand, cross-sections, drafting as-built drawings by hand with India ink pens. Typing with a real arm strong manual typewriter; not even an IBM Selectric…. Hand written field notes and double checking. TI59 calculators with the magnetic strips for programing… and the list goes on. Todd: It demonstrated that what we do is tangible. I will never forget standing on a mountain side on a recently logged corridor in the spring of 1985, trying to envision a freeway at this location in the future. Less than a year later, we were putting the finishing touches on the grades for a five-lane freeway, just prior to paving. Mike: The amount of work we accomplished without the technology we now have. TranBC: How do you feel today when you travel over the Coq? Joe: The Coquihalla Project gave me four lifetime careers of engineering experience because of its large magnitude. I feel very nostalgic when I travel the Coq, like I am traveling with an old friend; I know every hill, curve, bump and dip. I smile at the stories that pop up in my mind at different locations – at least one story for every kilometre of the Coquihalla. Ron: Pretty sure my wife and children are sick of hearing `I worked on this part` and `this one too` but I feel a great deal of pride and accomplishment. Hundreds of people came together in one place, at one time and built an incredible stretch of highway – including road, bridges and walls – and did it in a very short time, in extremely difficult conditions. It’s part of the history behind our “can do” ministry; an organization that has always taken the challenge and – no matter what – delivers. When folks refer to the orange blood within the ministry, this is where that reference comes from. Todd: The Coquihalla project has nothing but great memories for me. It was the start of my career with the ministry and also where I met my bride to be. Mike: I’m still in awe…it’s huge from near rain forest to semi-desert with a mountain in the middle. “The Coquihalla gave me four lifetime careers of engineering experience,” says Joe Valentinuzzi pictured here, later in his career. So, there you have it. A story for every kilometre and, we hope, a little bit more. Did you work on the Coquihalla? Tell us your story in the comments below. Will be interesting to see if the Ministry of Transportation ever manages to complete the Kamloops to Alberta Border ‘program’ to 4 lane the Trans-Canada if there is a SINGLE person who’s working life spanned the whole program. Based on progress so far they would have to start work before 2001 and retire after 2060, so if they started at 18 they would have to retire in their late 70s!!!!!!!!!!!!!!!!! Hi Nick. We are committed to improving the safety and reliability of this corridor. There are 337 kilometres of provincial Highway 1 between Kamloops and Alberta (Parks Canada oversees the remaining 103 kilometres), so four-laning is a long-term effort. I have ran 2 rounders a day from Chilliwack to Merritt for 15 years and I am still amazed with the coq. Amazing feat of building. I cannot find the name of the construction superintendent of the snow shed. He worked there for about 2 years. His name was Werner Vedder. I also tried to find the time capsule where all the workers were supposed to be named. I think his main contractor was Kirkland, if I remember right. You think you can give me some answers? I’d like to help but I’m not sure exactly what you’re asking. Do you mean your relative’s name was Werner Vedder and you’re looking for the name of the construction superintendent he worked with? My husband Werner Vedder was in charge of the snowshed Unfortunately he passed away in May 2003. We are sorry to hear that Ursula. Were you able to find more information on the company he worked for? Thanks for sharing this information Jessica! The Coq = Work hard x play hard. We had a lot of fun on Phase 1 – where else could the Ministry have its own Slo-Pitch league?